Plans are underway for one of the presidential hopefuls of the opposition SLPP party of Sierra Leone – Mr. Alie Kabba (Photo), to finally return home to Sierra Leone and formally begin his flagbearer aspirational campaign on the ground. Many of his supporters and admirers say that his presence on the ground in Sierra Leone is well overdue, if he is to make any impact on the SLPP rank and file, especially the delegates who will be electing the party’s presidential flagbearer. 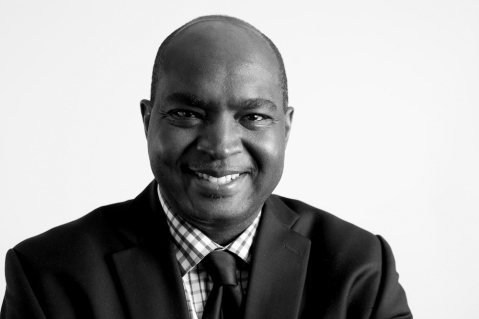 Alie Kabba who is presently living and working in the United States of America, has been tipped as one of the hot favourites for the SLPP presidential candidacy, when the party holds its convention later this year or early next year. Other candidates include Dr. Kandeh Yumkella, who remains the hottest favourite, and former military brigadier Julius Maada Bio, whose campaign is currently mired in serious controversy, after entering into what many SLPP supporters regard as ‘an unholy alliance with president Koroma, in return for cash payment’. Also on the list of favourites to win the SLPP presidential candidacy are Andrew Keili and global civil engineering consultant and philanthropist – Dr. Jonathan Tengbe. Alie Kabba’s campaign was given a shot in the arm when he was given the 2015 African Leadership Award last week in the Dutch city of Amstel Veen, Holland, in recognition of his lifelong record of Pan-African activism and leadership in the service of Africans at home and abroad. The award was accepted on his behalf by Dr. Saa Kabuta and Magnus Pewa, his presidential flagbearer campaign representative in Holland. 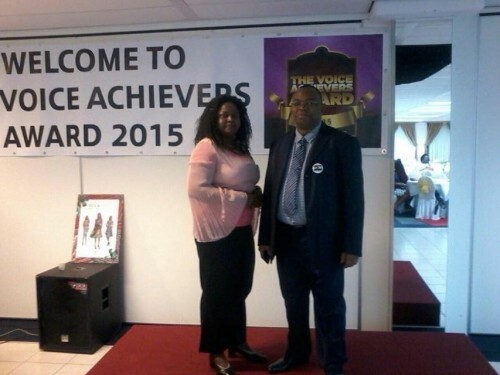 The African Leadership Award is the brain child of The Voice Magazine of Amsterdam, Holland. Previous recipients of the award include great African leaders, such as Dr. Kenneth Kaunda – former president of Zambia. Reacting to the news of the award, Alie Kabba told the Sierra Leone Telegraph that: “This award may have the name Alie Kabba printed on it, but I would like to think of it as an award painted with the sweat and gilded with the sacrifices of all our African brothers and sisters toiling in and out of the continent to ensure a better world for us all. “This is a humbling recognition of our collective toil. I want to thank the organisers and facilitators of this historic award, for their tremendous effort and commendable foresight in ensuring that the award continues to be an eloquent symbol of our continental discourse”. During the award ceremony there were plenty of cheers and jubilation. “Give us Alie Kabba, and we will give you a united Africa,” said Mrs Matilda Tsisemba, Appeals Court Judge at The Hague. “Today, we have shown the world that there is always a voice for the voiceless. And this voice is Alie Kabba,” said Princess Deun. Speaking to the Sierra Leone Telegraph, a spokesman for the Ali Kabba campaign in London said: “We are finalising the finishing touches of arrangements to get Ali Kabba on the ground and meet the people of Sierra Leone. 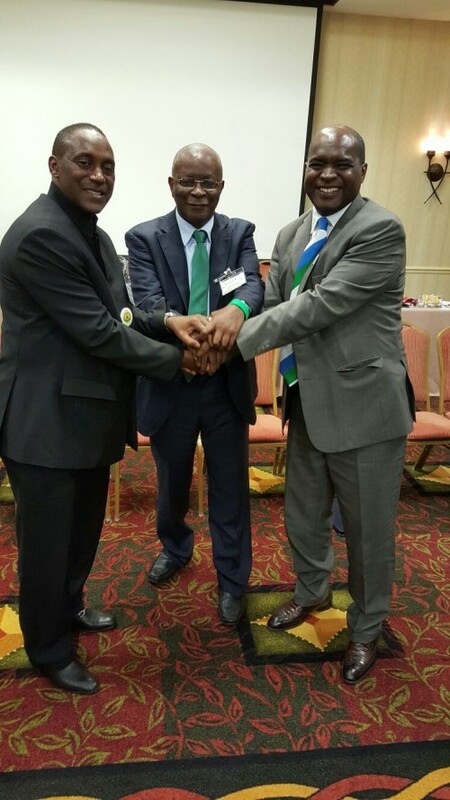 The SLPP heavy weight trio – Yumkella, Keili and Kabba (Photo), were guests of honour recently at the SLPP convention in the USA, where they vowed to bring peace and sanity to the country’s main opposition SLPP party, that is now divided by in-fighting for the presidential candidacy. President Koroma at the India-Africa Summit: Will Sierra Leone benefit economically? 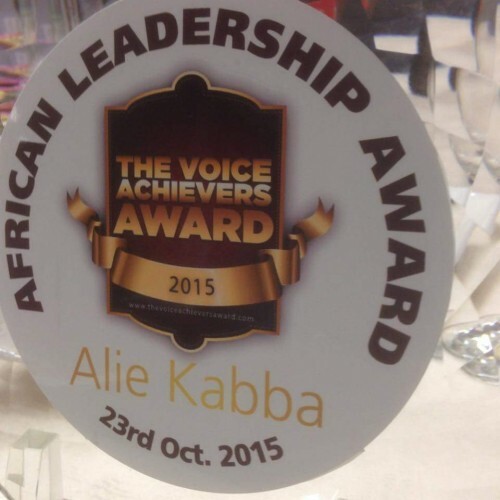 Pan-Africa-activist Award for Alie Kabba? I reserve my comments for the right time.